05/15/2017 - This item is no longer available. 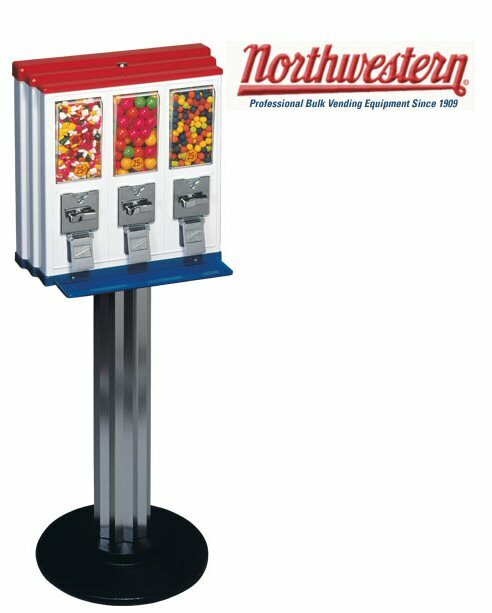 Northwestern Update - Northwestern Corporation has been sold and is not continuing manufacturing at this time. Please see our full available line here. The Triple Play’s rugged elegance is immediately noticeable and extremely eye catching…perfect for securing upscale locations or just classing up a regular joint! But what good is form without function? The Triple Play utilizes patented "Drop Thru" coin mechanisms for ultimate reliability, and its patented design allows for the easiest servicing of any multi-vender available. 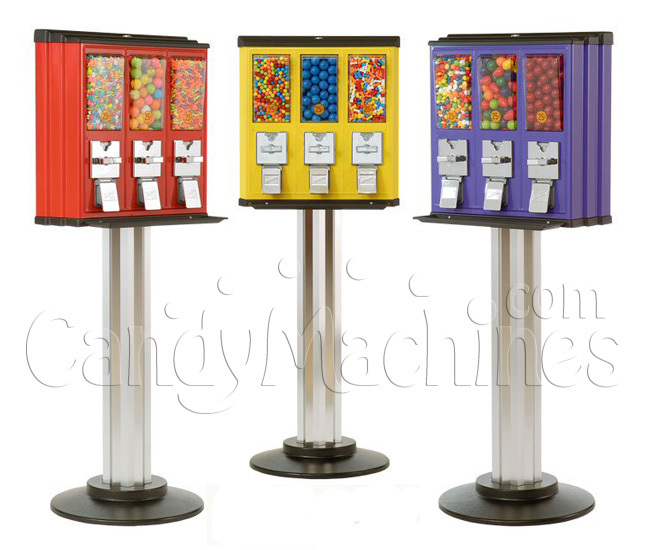 This well-engineered gumball and candy machine combines looks and performance like no other. Made in USA. Replacement parts easily available. Lifetime Warranty on coin mechanism against manufacturer defects under normal working conditions and ordinary wear and tear. I used these machines for 10 years. Now am ready to sell. It was a good part time route but it got too big so I retired. Miklala at awho is where I'm at. and sturdy. Since it is made in the USA we do not worry about anything.